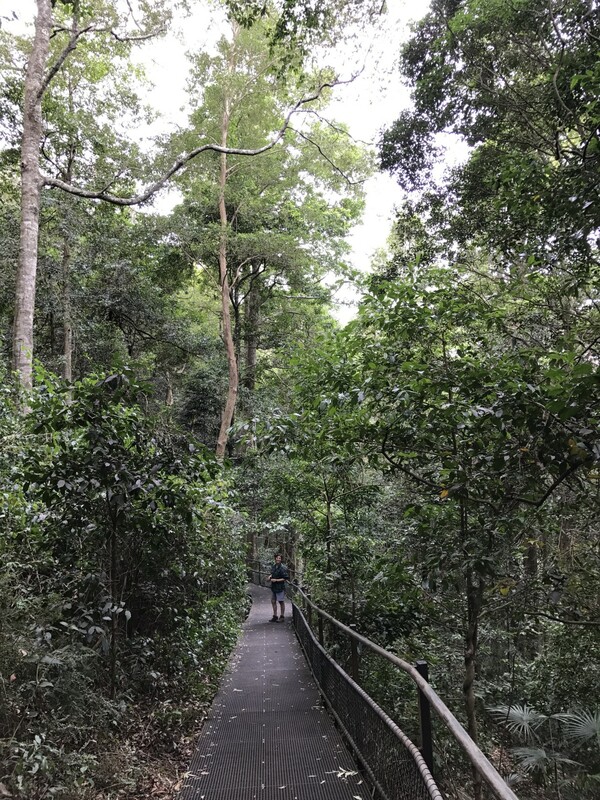 After a Kiama exploration, we headed inland to take a climb at the Minnamurra Rainforest Centre. 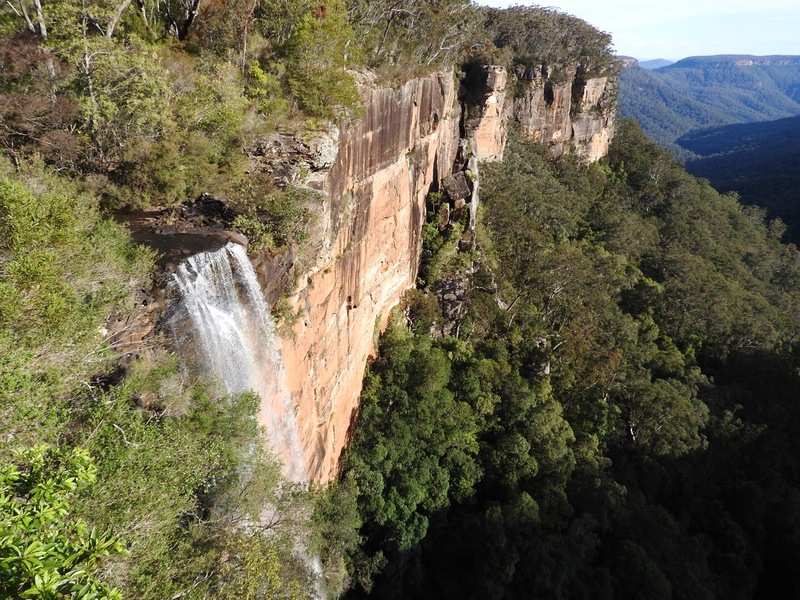 We had already purchased a National Parks NSW multipass earlier in the year, so our entry was free! The info centre at the beginning was filled with info (surprise huh!) 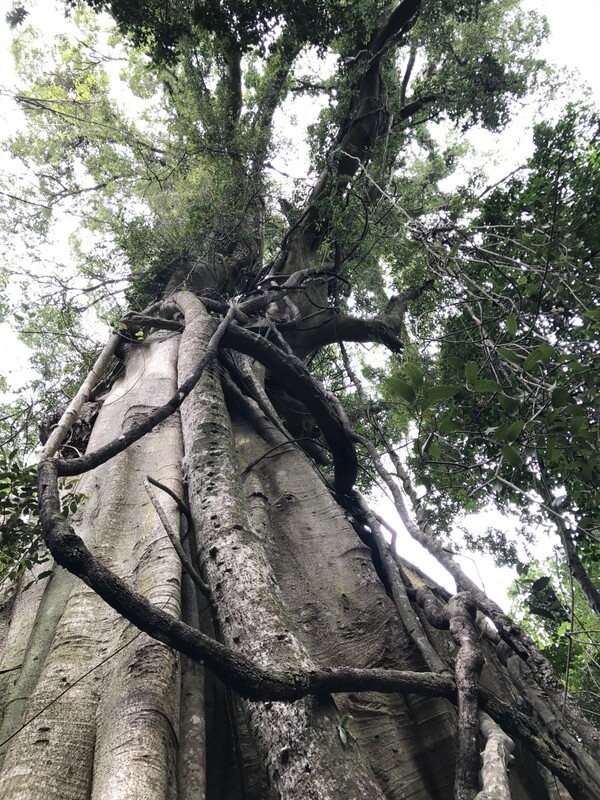 on rainforests including how the various layers work together to make an ecosystem – something I have found fascinating since primary school. 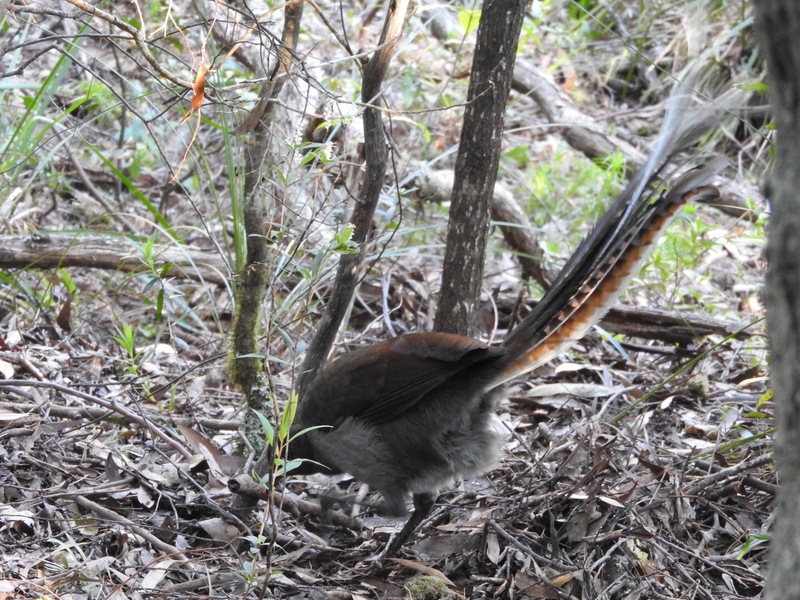 With low expectations (“how crazy would it be to see a Lyrebird”) we entered the walk and opted to do the easiest loop (around 45 min return). 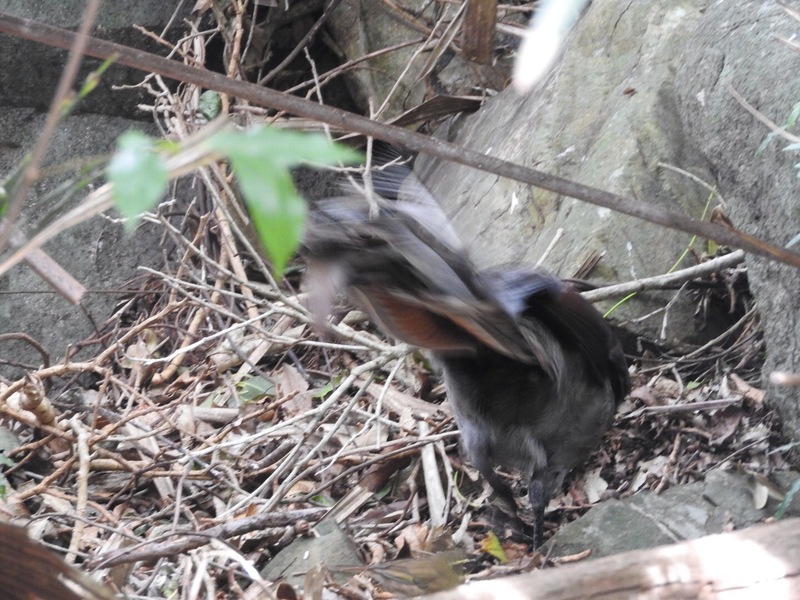 It was as though we were viewing magic in action – the little non-gender specified bird was scurrying about, scratching and fussing and making it seriously difficult to get a good photo. 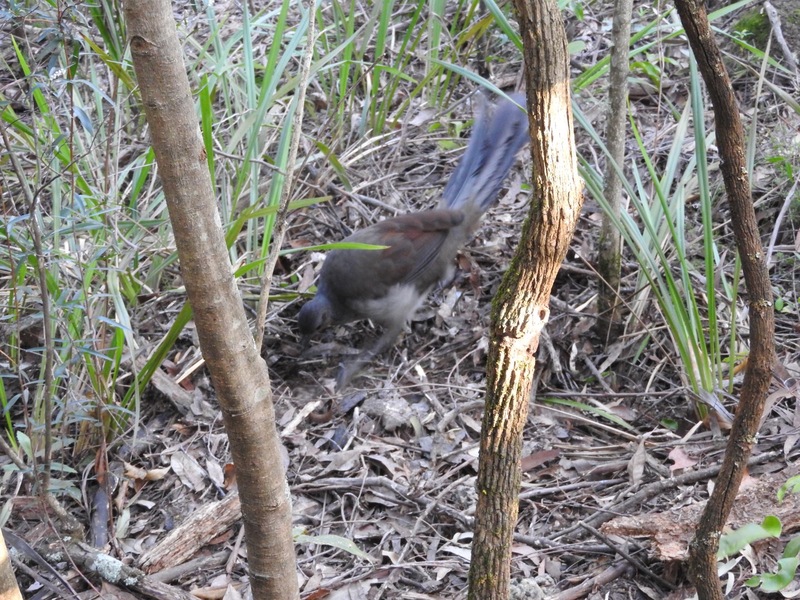 We watched the lyre bird until it disappeared off over the rainforest horizon. 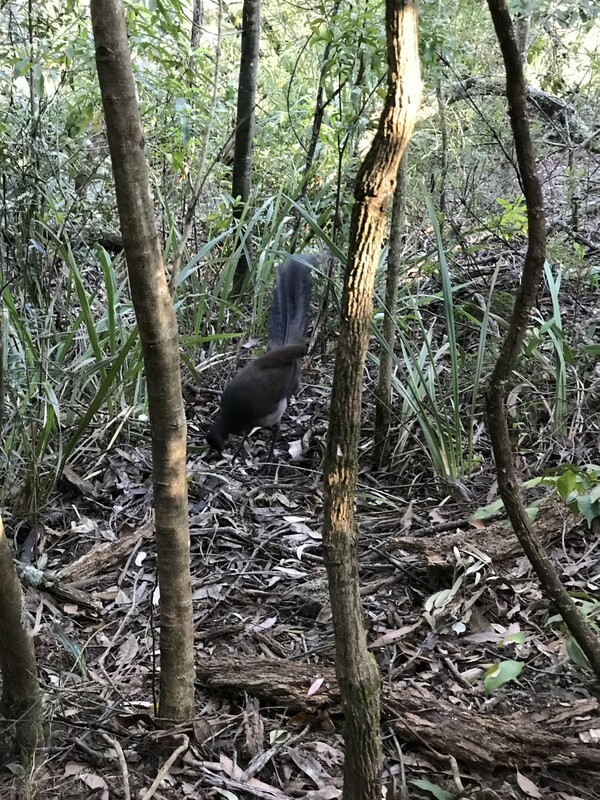 All our hopes were fulfilled with this one sighting, and we exclaimed, “Even if we see nothing else on this trip, that was worth it.” Little did we know what other natural wonders were in store! 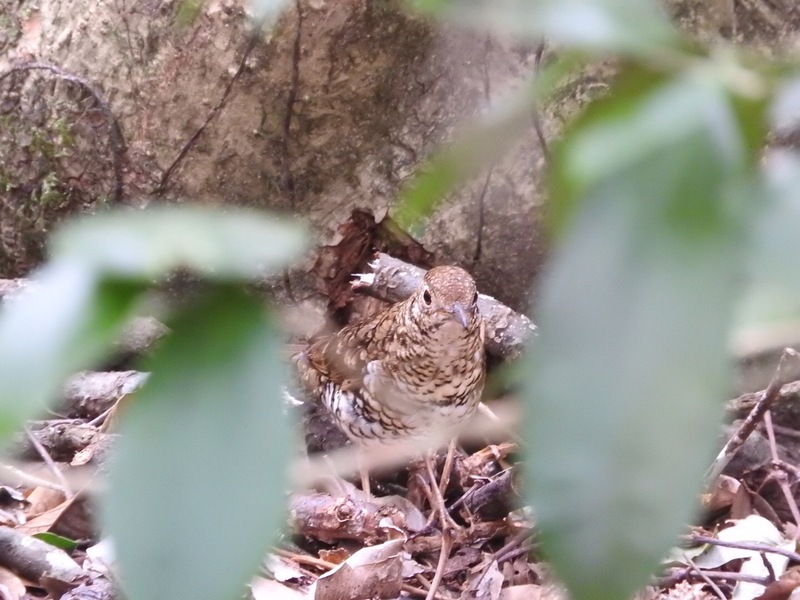 A little further into the walk, we caught sight of this little Bowerbird fossicking around. 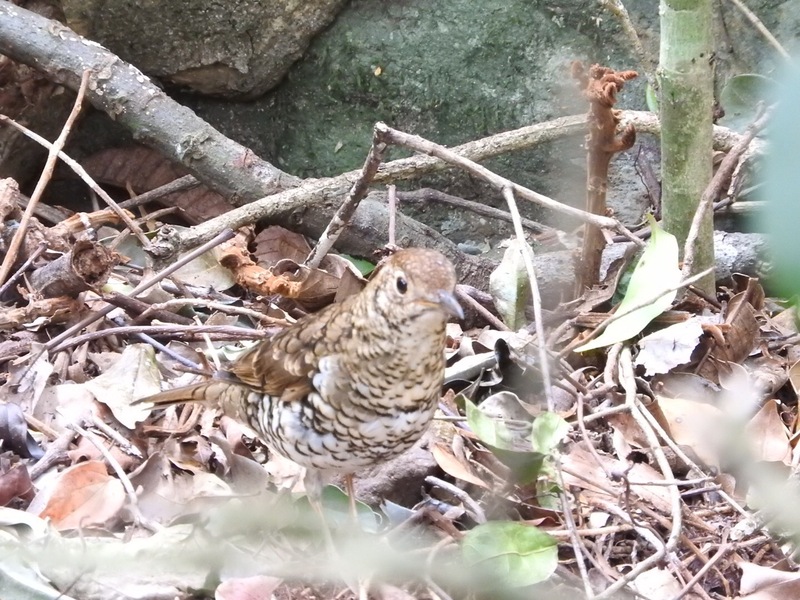 It is really difficult to capture the scale of this rainforest, and to think, these little birds live on the very lowest level! 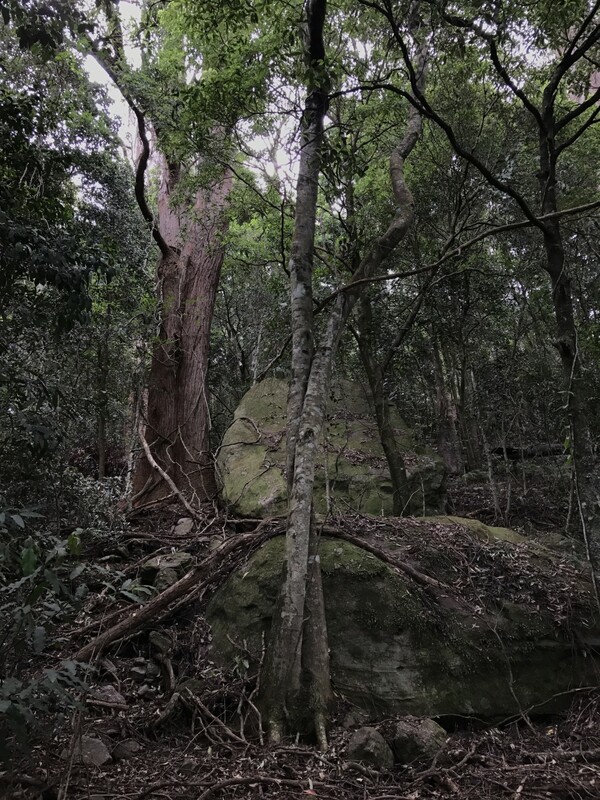 We saw a rock wallaby mum as we rounded to the end of the rainforest, having also seen some of the oldest boulders in Australia, and one of the oldest red cedars, and finished our climb with big smiles on our faces. 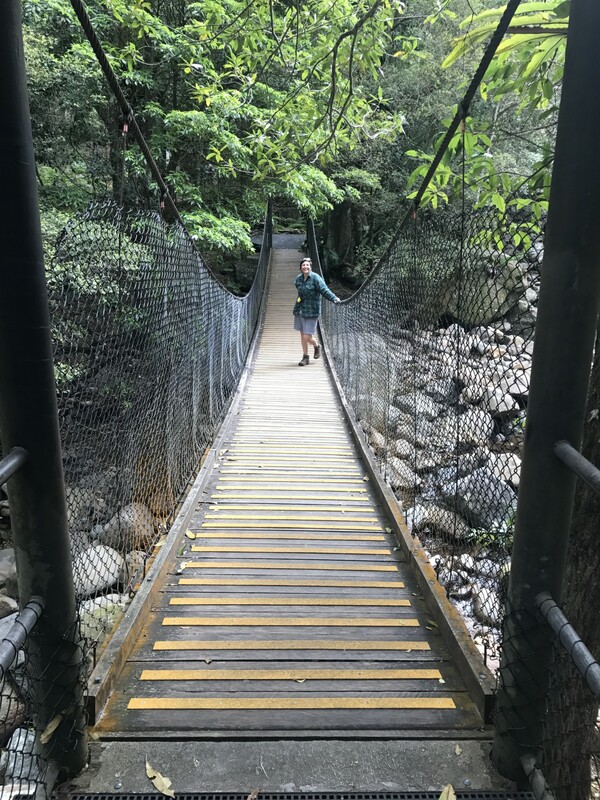 We had a chat with the National Parks ranger who expertly advised us on the next few things to see. 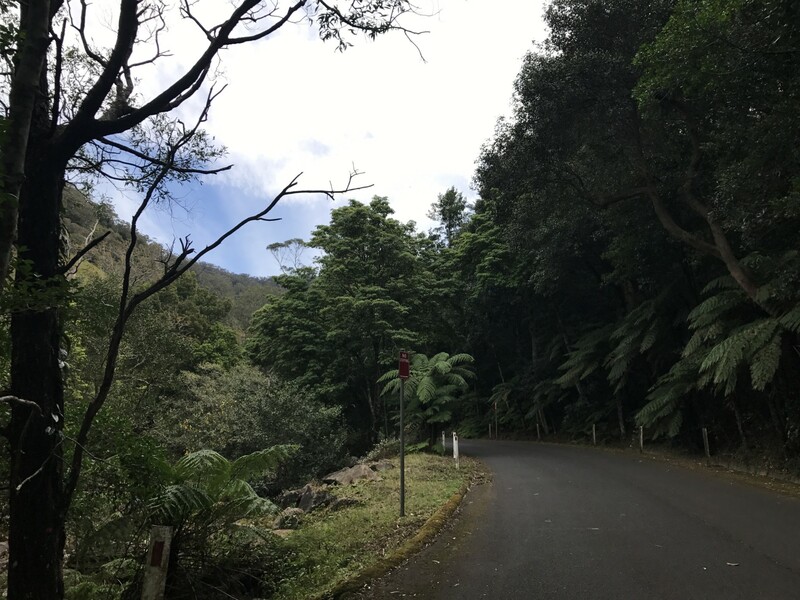 She warned us clear of Carrington Falls (closed for renos) and advised that Belmore Falls is spectacular, and Fitzroy Falls is ok, but both lead to our free campground for the night – Bendella Camping Reserve. 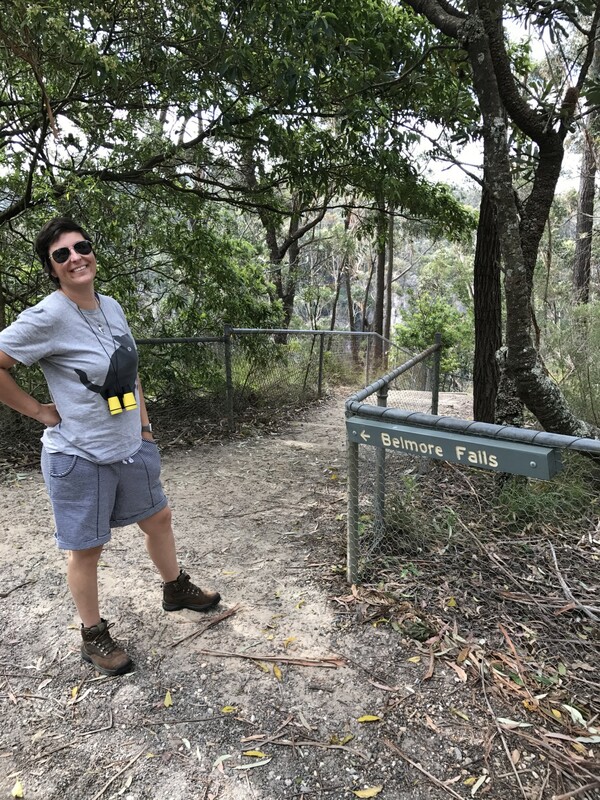 With her highlighted map in hand, we hit up Belmore Falls. A rather long and windy road in, we found ourselves hoping it was worth the drive. 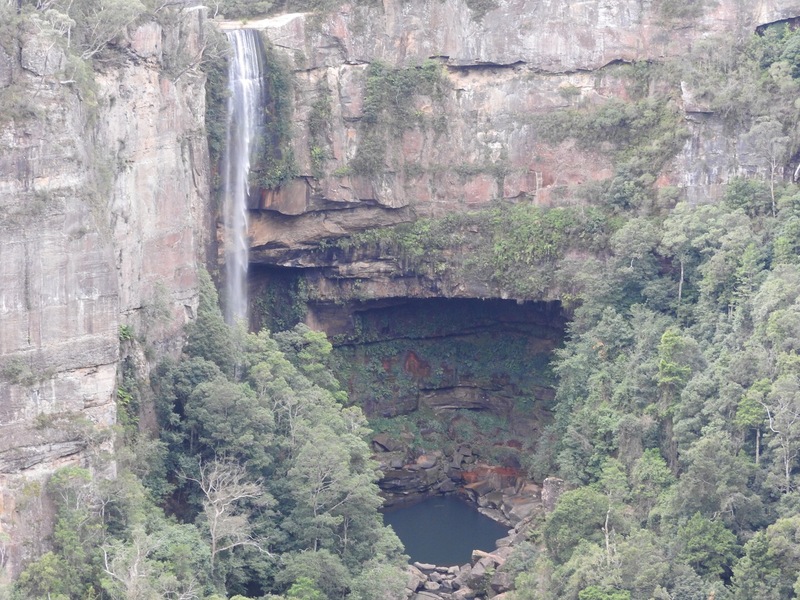 Sure enough, Belmore Falls are amazing! We looked from the top lookout only (accessible from the car park by around 30 steps) and again we were blown away by the scale of the valley. The falls drop down one level, into a beautiful turquoise pool, before cascading down a great height and into a winding creek below. From our location, with binoculars, we could see tiny people picnicking at the edge of the pool and construed that one must be able to walk all the way there. We decided unanimously not to make that climb right now. 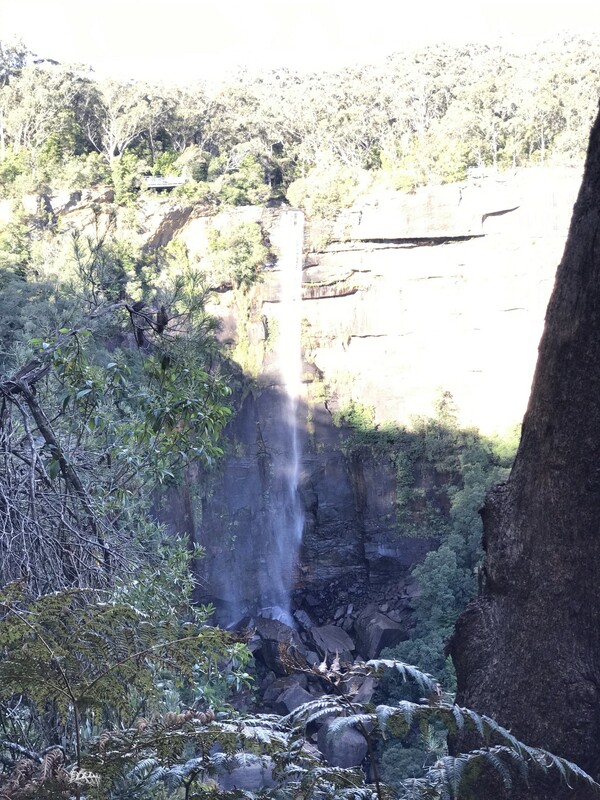 Emboldened by our successful mission into Belmore Falls, we agreed to head to Fitzroy Falls (“5 min walk to the Falls”) before we entered Kangeroo Valley. 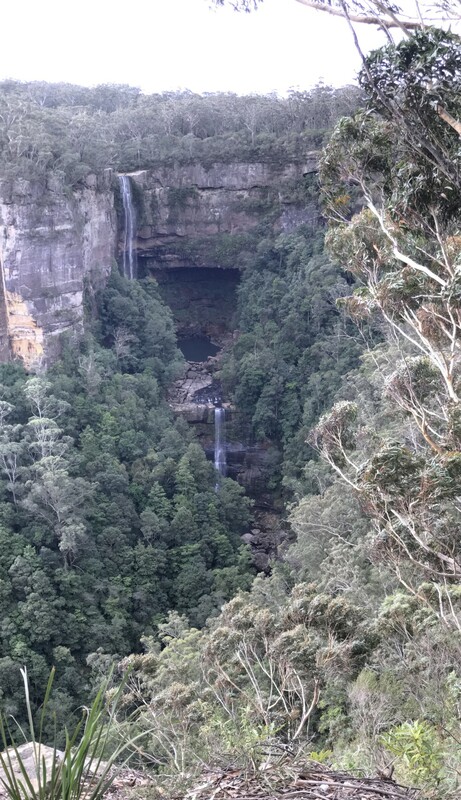 Fitzroy Falls has one of the best info centres, with displays of animals and birds, information and a local memorial centre for women who have paved the way in natural preservation. The visitor centre alone is worth the stop in! 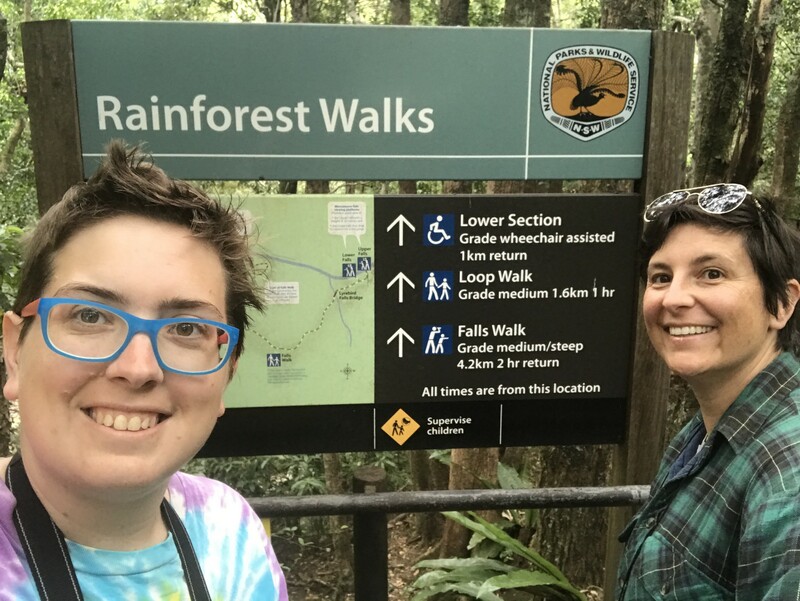 The walk to the first view of Fitzroy Falls was quick, and we found ourselves standing on a platform 640 metres above sea level, right over the falls. My knees immediately gave way and I weakly shifted back from the edge. Lib took over photography duty at this point whilst I tried to stop imagining all the ways she could topple over the edge. 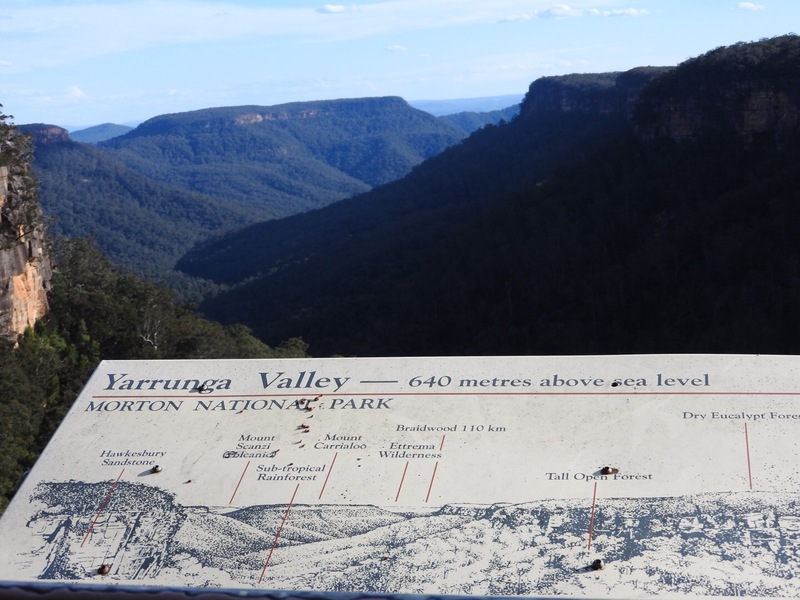 We decided to walk the 800m around to the next lookout to see Fitzroy Falls from a better angle. Our walk was worth it. 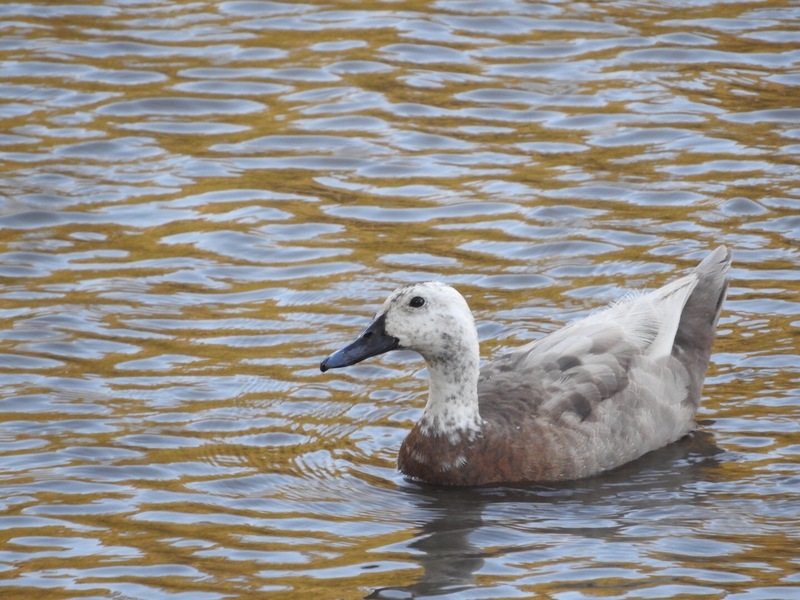 Another bush rustle and who should we see ? 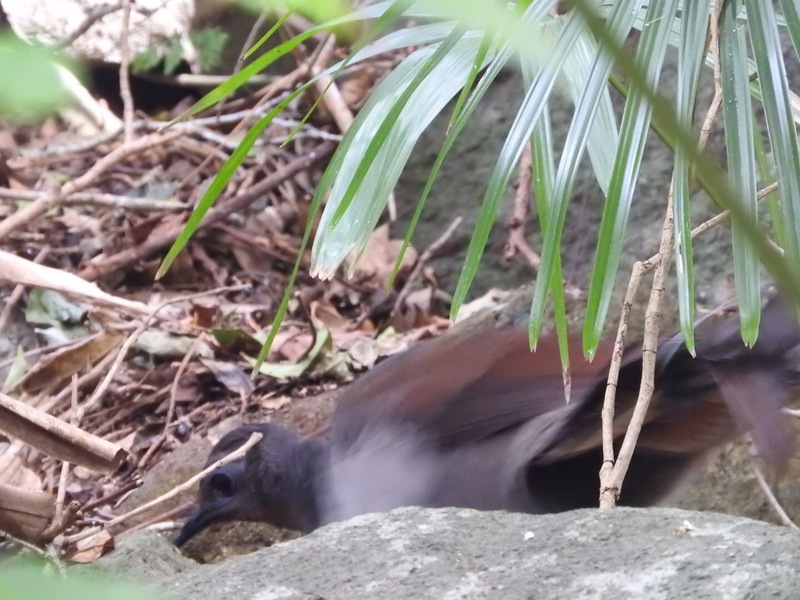 Another lyre bird! Still a difficult subject for a portrait, I managed to get a few shots to at least highlight the colours and shape of this beautiful bird. Oh yes, and the falls were quite good from that extra lookout too! By this time we were quite buggered ! 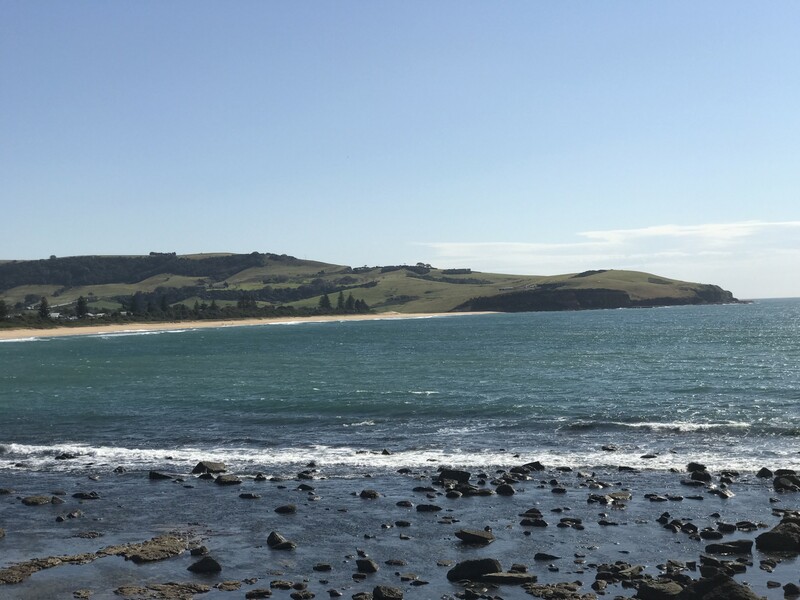 Having already done Kiama in the morning and now a bunch of walking, we were ready to find our campsite. 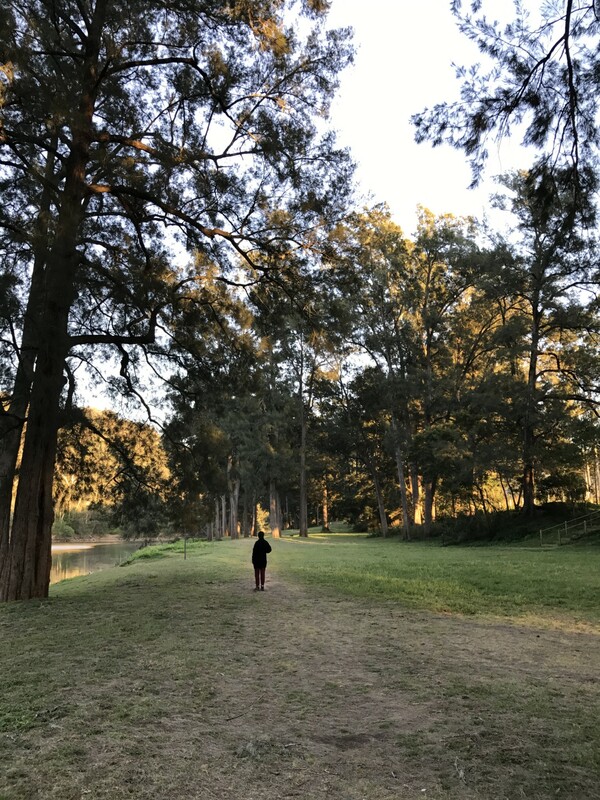 We were very keen to get to Bendeela Camping Reserve, Kangaroo Valley, after seeing on WikiCamps that wombats often roamed the campsite. Not setting our expectations too high, we stopped for some fuel before descending into the free campsite. 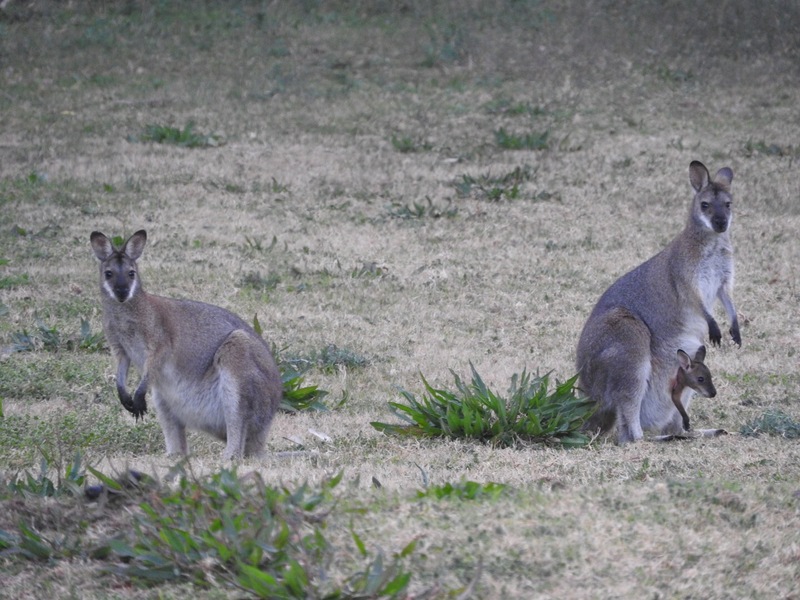 As we came around the final bend, some kangaroos lept across the road, lifting our spirits and hopes. 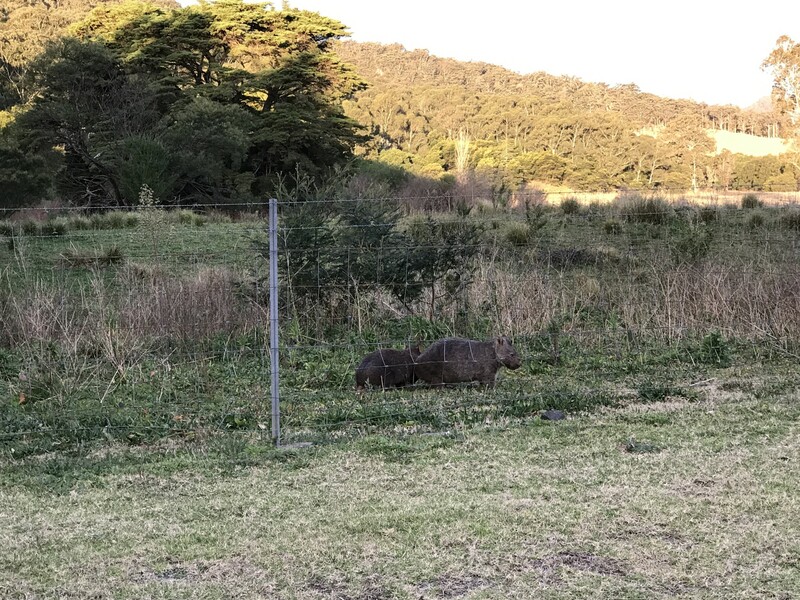 Sure enough, as we entered the site (grateful to see some other campers already set up), we saw a mother wombat and her baby on the fence line! Lib just about burst from joy, along with the sounds of gleeful noises and forgetting altogether how to drive the car. As we sat stationary, staring at these guys (and another driver sped around), we felt all our hopes were fulfilled. 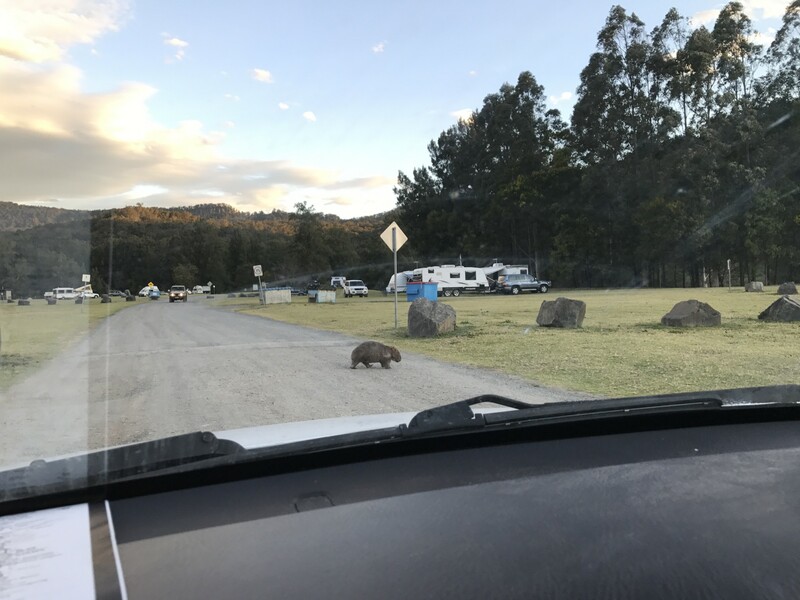 And then another wombat crossed the road in front of us. 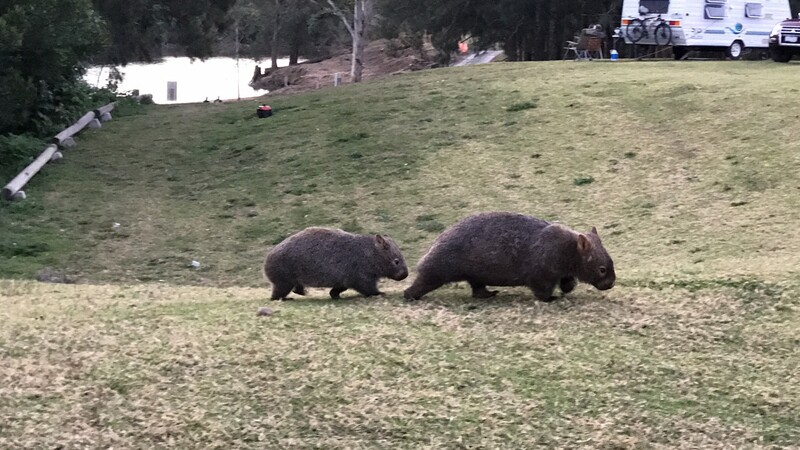 And all of a sudden all we could see were wombats! 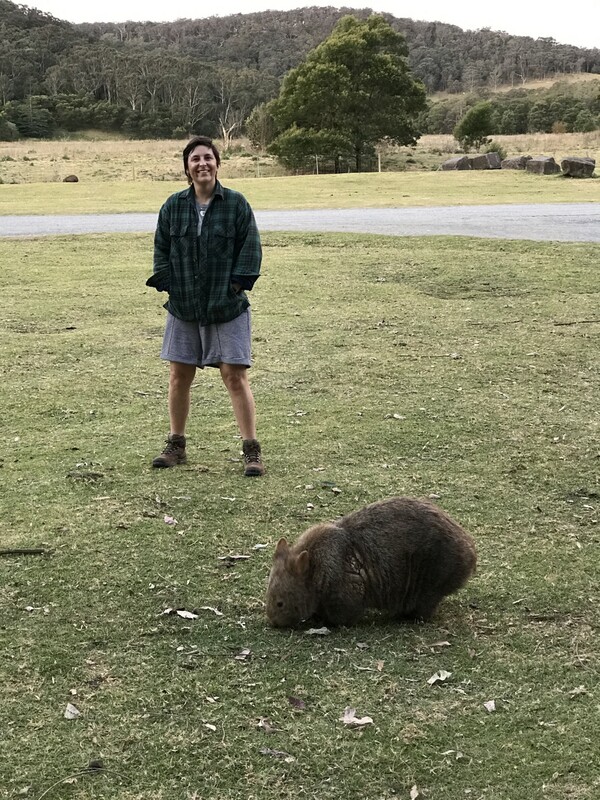 Neither of us had ever seen wombats in the wild before and we were both delighted and shocked at the amount and ease of this beautiful marsupial. 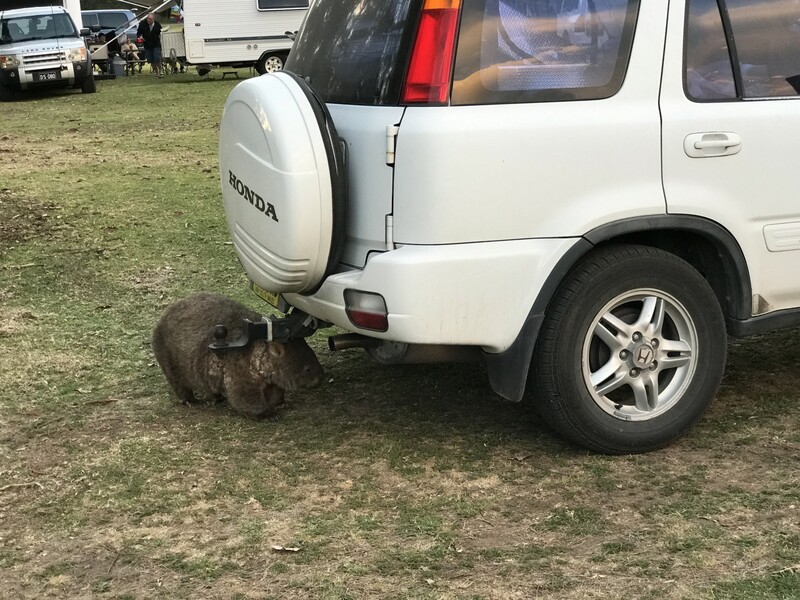 As we pulled into park, a large wombat came immediately over and rubbed on our car (unfortunely it was diseased with wombat mange). He also stopped by to have a chat to Lib, who was in her element! 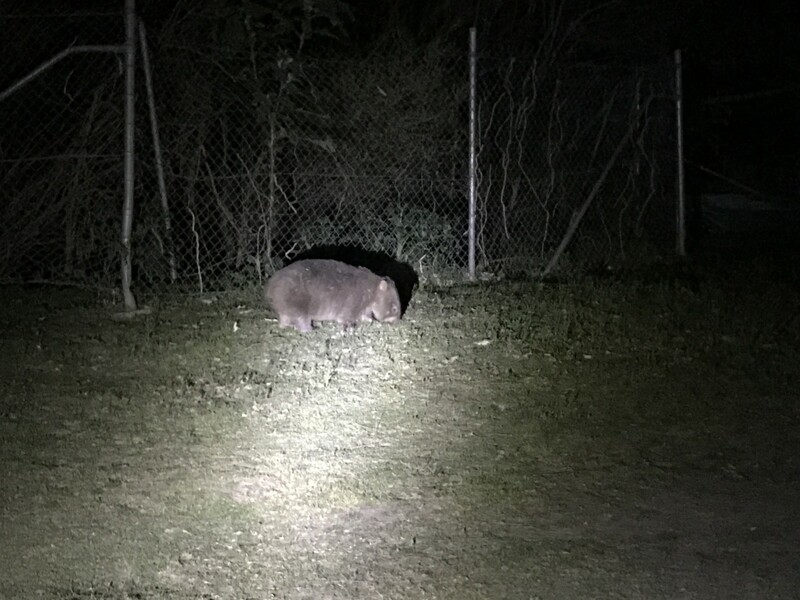 We took a quick wander around the campsite, chatted to (my favs) the friendly grey nomad group and spotted what is arguably the cutest thing of all time – a baby wombat following its mum. 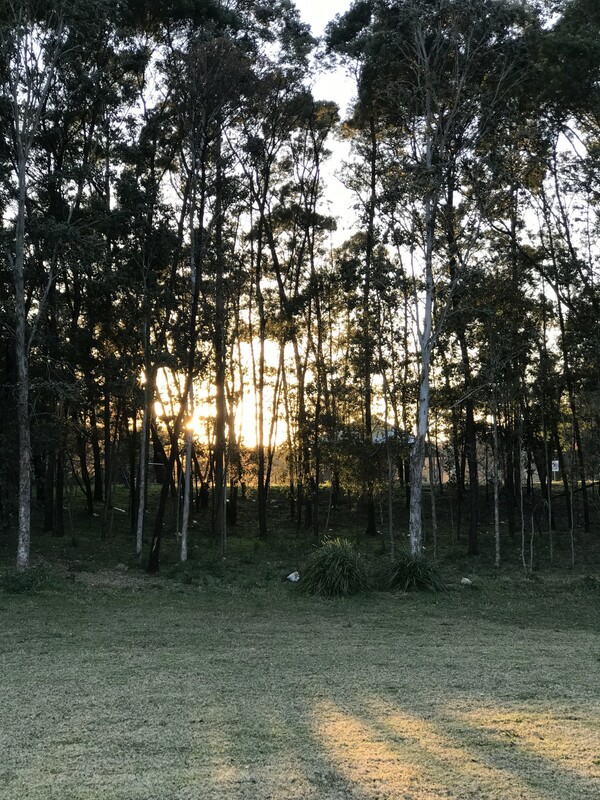 Lib felt very comfortable here – loving the wildlife (I haven’t even mentioned the roos, the ducks, the kookaburras, the birds and a cat(?)) 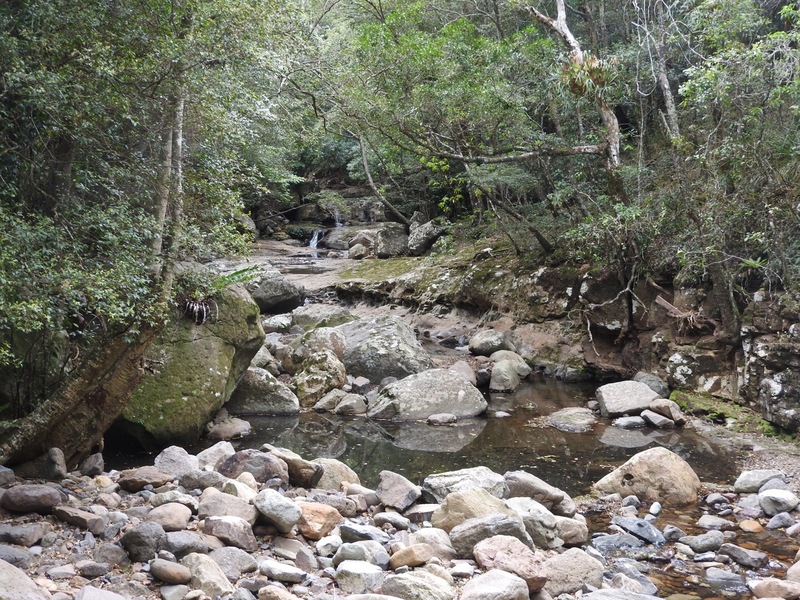 and the natural surrounds. 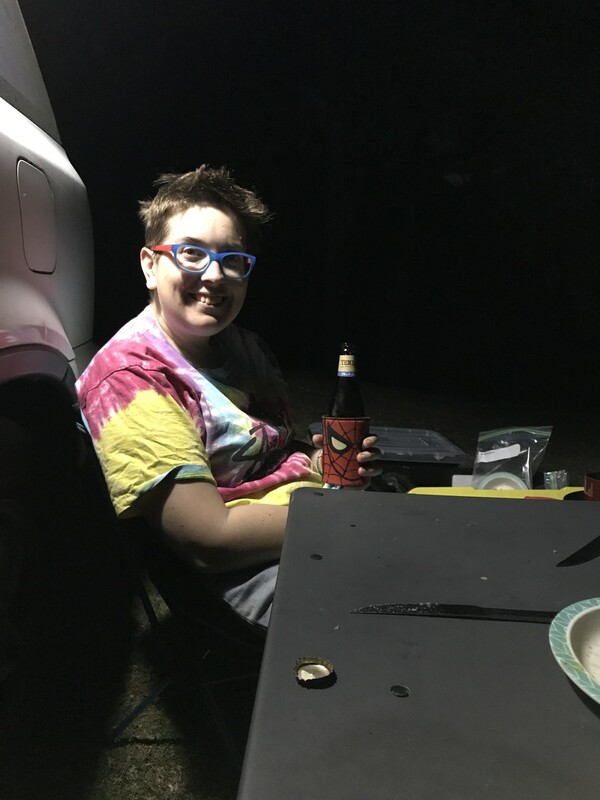 I, on the other hand, a much less experienced camper, felt threatened by all the nature and the free-ness of the campsite. 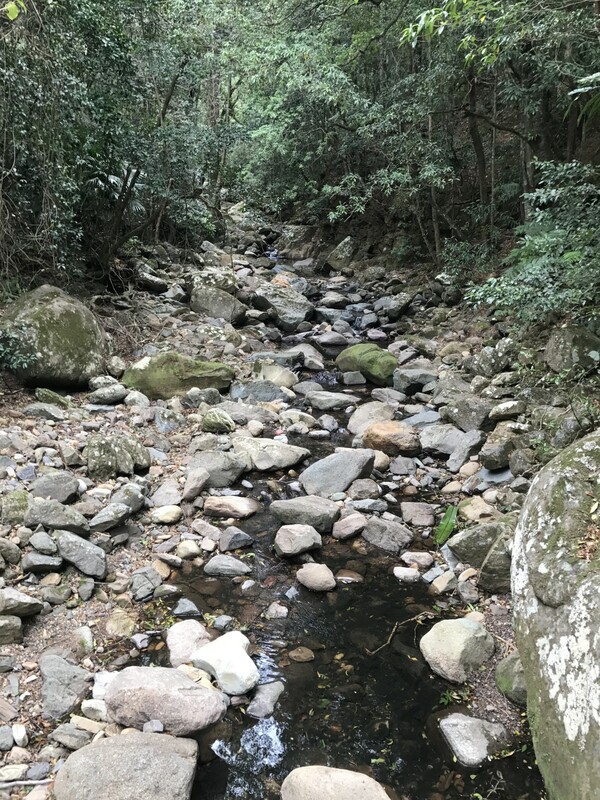 I hastened to cook a great dinner (spam and tinned veggies) which we ate quickly before doing the long walk to the loo and (at my persuasion) an early night. Morning brought with it a lot less wombats (they go back to their burrows) and two tired girls. There had been incredible wind in the valley, and although I had a bad sleep, Lib slept worse: “You snored so much!” Too excited to return to sleep (even though the sun was yet to rise! 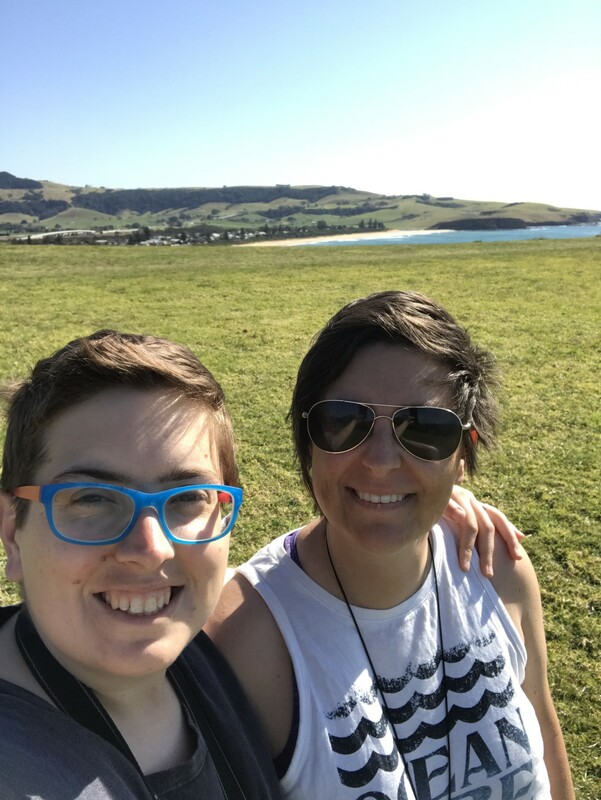 ), Lib and I walked the perimeter of the campground looking for more kangaroos and wombats. 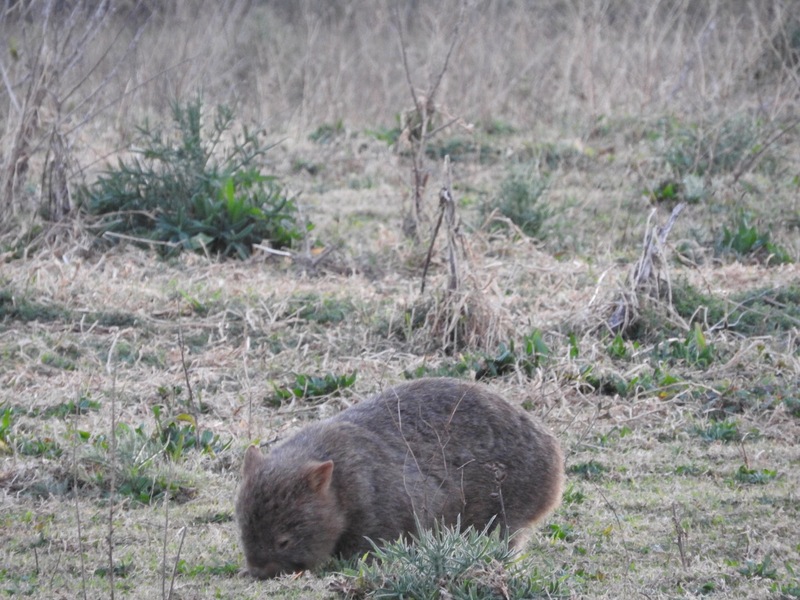 We saw the straggler wombats, but basically everyone had headed in for the day. 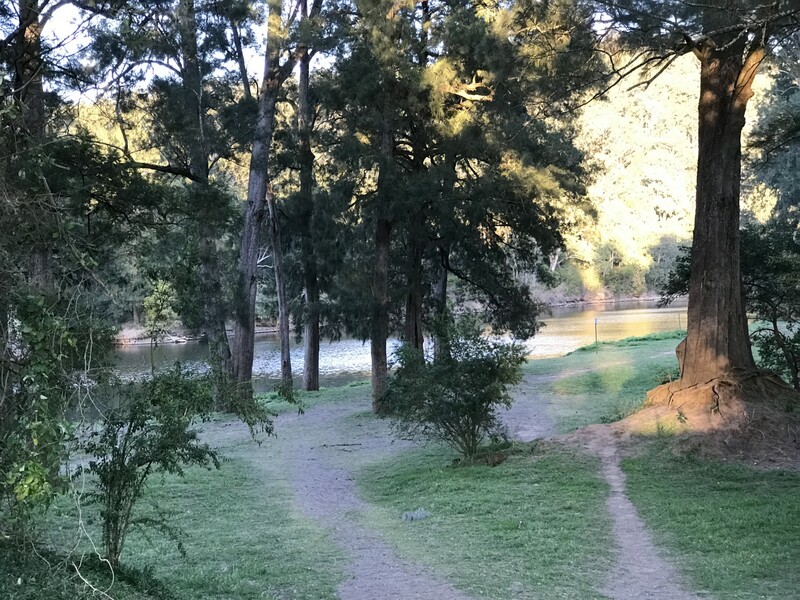 Bendeela Camping Reserve is truly one of the most amazing campsites we have been too. And it’s free! I imagine it is quite busy in summer time!! We will be back again! 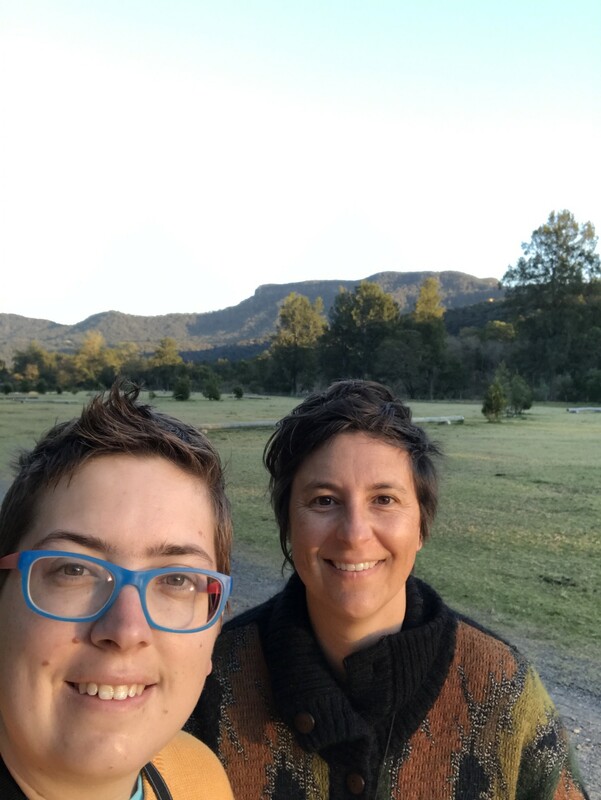 We took our sleepy selves into Kangeroo Valley town for breakfast – having a really great pie – a Cheeseburger pie! I found myself being quite zombie like, the fitness from yesterday and the lack of sleep making me irritable. 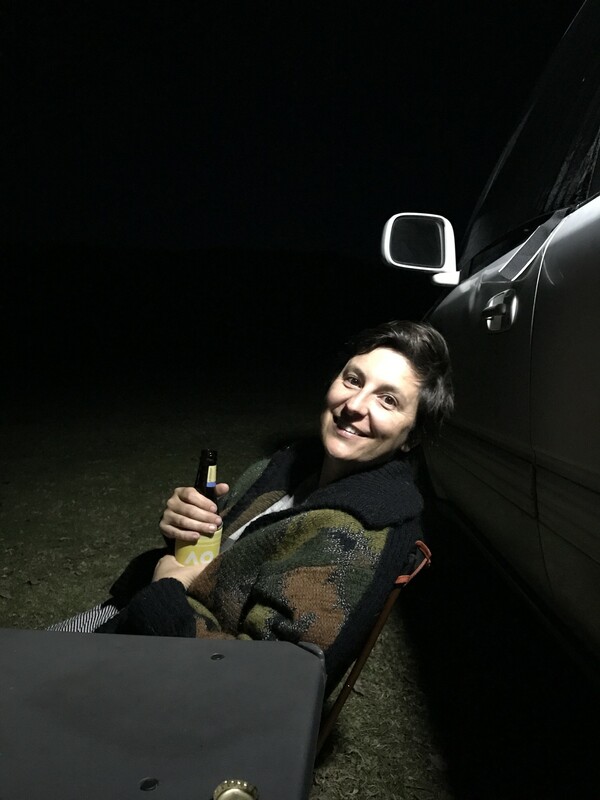 Conversely, Lib had her double shot coffee and was running on extreme excitement – she kept chatting away and we had a few laughs (read: fights) at how different we are. 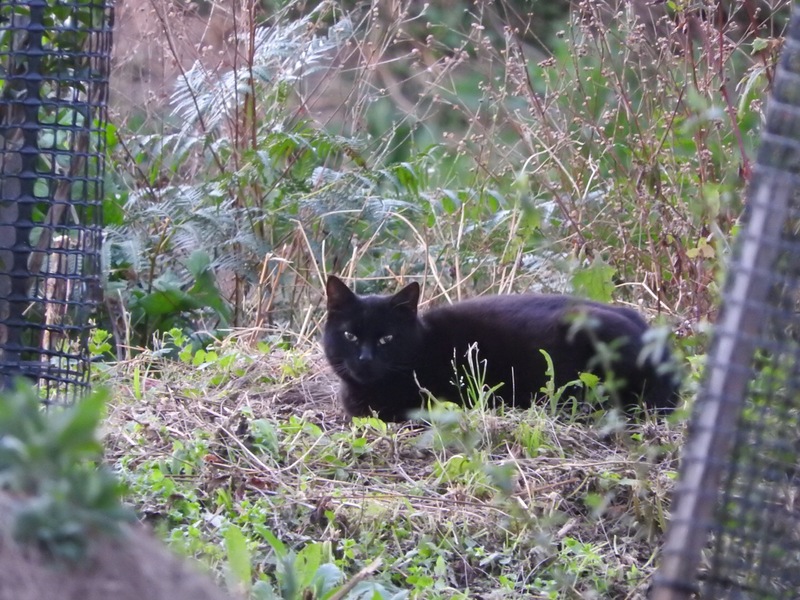 Normally, it’s the reverse – I am peppy and she sleepy! 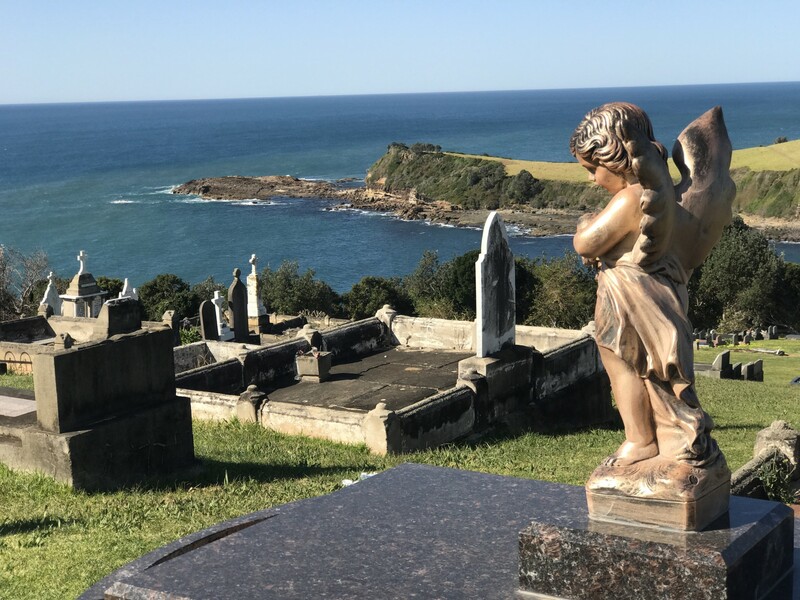 We drove through Bega (nothing really open – it wasn’t even 8:30am yet due to our early start) and looped back up the coast to see Gerrigong and Gerroa. The rolling green hills reminded us of England and we both commented how few bare green cliffs there are around Newcastle area. Unfortunately no whales were seen off the coast at any of the whale viewing platforms. 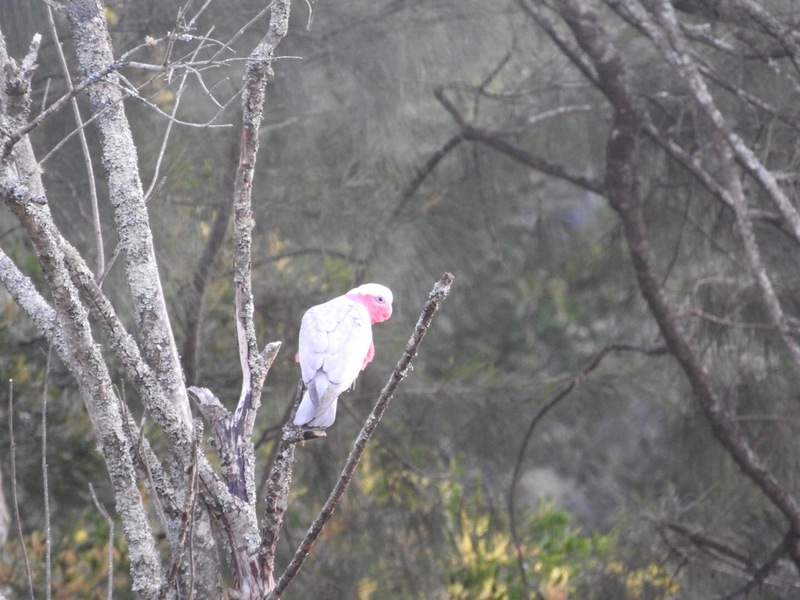 Next on our list was Jervis Bay and we left behind the Grand Pacific Drive in search of white sands and national parks.